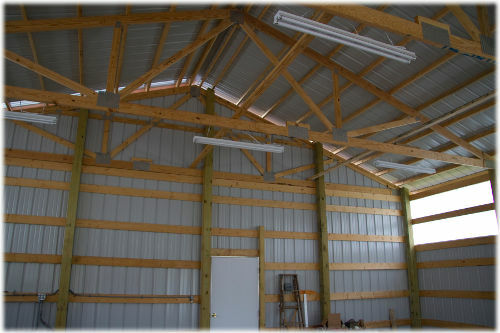 Post frame construction uses posts for the foundation, wall, and roof support structure for pole barns or multi purpose pole buildings. 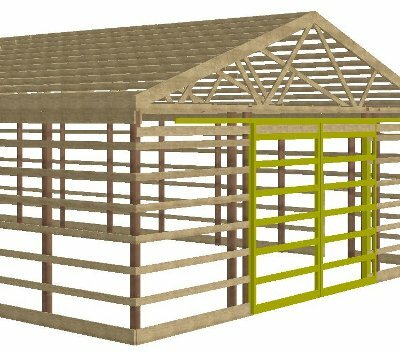 Post frame construction provides superior structural strength against mother nature including hurricanes, floods, and even earthquakes. 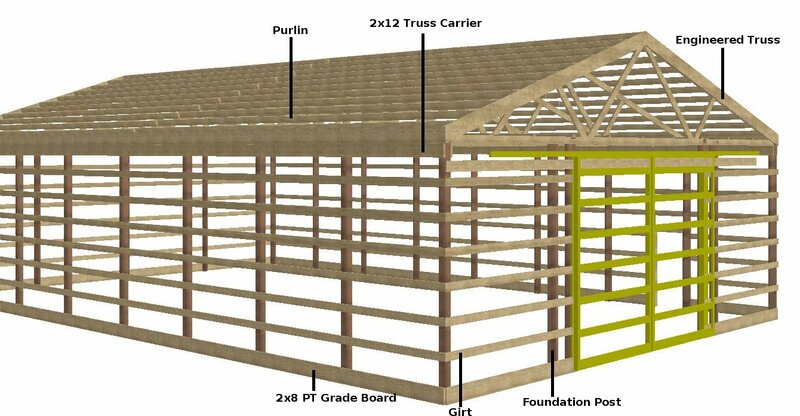 The reason for this is that the posts support and tie together the entire structure. The posts absorb the forces of nature and transmit them through the structure into the ground. Since the roof and floors are supported by the posts there is greater flexibility in wall and window placement using this construction method. Pole framing uses less wood than platform framing.